Fast, Fun and Useful, this in the hoop Manicure pouch is sure to be a hit at Craft Shows, Quick and Easy Gifts or just for yourself! This is a 2 Design Set. You can make the holder by itself to keep in drawer where you can always find it :) or make the holder and cute pouch too. 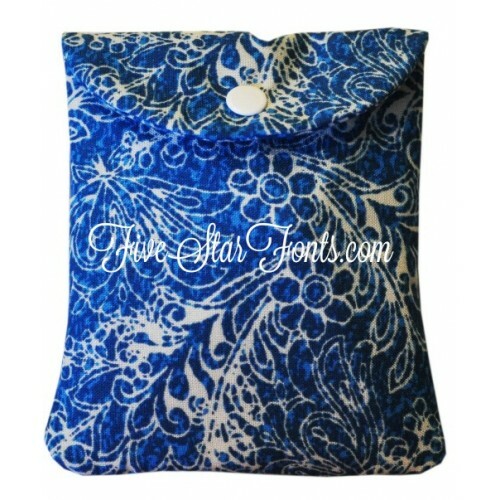 Perfect for gifts, your purse, etc. Very versatile design! 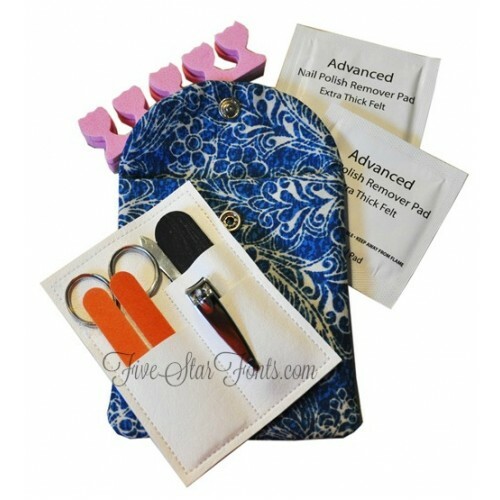 Here is what we put in our Manicure Tool Holder and Pouch (shown above). 3 Emery Boards, Nail Scissors, Nail Clippers, Tweezers, Packets of Travel Nail Polish Removal Pads and Pedicure toe foamies. Yes, they all fit in the holder and pouch! Here is the pouch with everything shown above inside. Makes a great little gift. 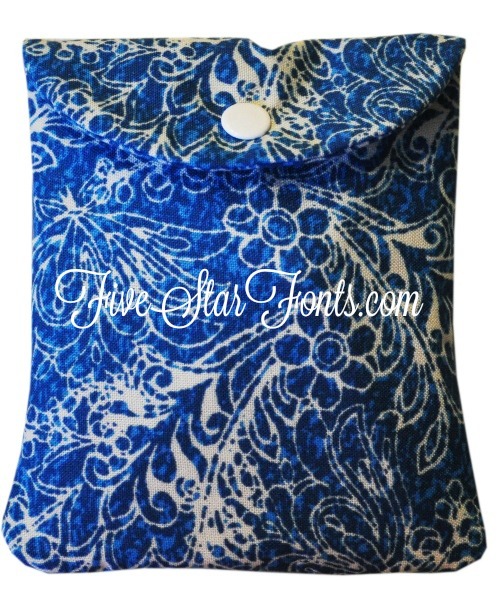 All materials in this design are readily available on line and in most Fabric stores. 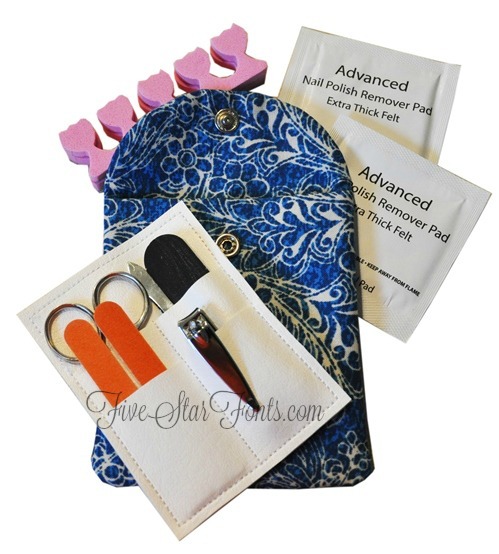 You will need a tiny amount of marine vinyl for the manicure tools holder, cotton fabric for Manicure Pouch, lightweight interfacing, 1 Set of size 16 snaps and your favorite manicure tools. These make super inexpensive gifts. Stitching Idea: Use themed fabrics and give them as quick and easy gifts. Perfect for teachers and all of your other gift giving. Would be excellent easy, useful stocking stuffers too! **There are 2 different designs in this set, the tool holder and the Pouch. Each design is made completely in the hoop in one hooping and there is NO Additional Sewing required for either design. As with all of our in the hoop designs, complete detailed instructions with photos are included. This is a perfect in the hoop project for beginners or the seasoned pro will love how lightning quick and easy these are to make! Please make sure your machine can support designs of this size as we don't offer refunds due to the electronic nature of the files.